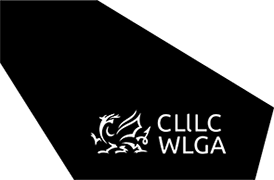 The WLGA is looking for an enthusiastic and knowledgeable individual to join the National Autism Team based in Cardiff. The post will involve research into the tools; pedagogy; and resources that successfully support those individuals working with and developing individuals with autism, which will include effective collation and monitoring of data. It will also support the delivery of training in autism awareness and understanding. Excellent IT skills and creativity in developing written and visual resources for autistic people, parents and carers and professionals, matched with good interpersonal are key to this post. Experience and knowledge of autism and other neurodevelopmental conditions would be an advantage. The National Autism Team is hosted by the WLGA in partnership with Public Health Wales and its primary function is to support the delivery of the Welsh Government ASD Strategic Plan and Delivery Plan in conjunction with key stakeholders. The ultimate purpose of the team is to improve the lives of autistic people in Wales. This is a fixed term contract, until 31 March 2022. Secondments would be welcome (to be agreed in advance of interview with your employer). For more information, visit our web-site www.ASDinfoWales.co.uk and/ or for an informal discussion, call Sara Harvey on 07880 794322 or Wendy Thomas on 07717 822479. The Food in Schools Coordinator supports and advises local authorities, schools and contract caterers to achieve and maintain compliance with The Healthy Eating in Schools (Nutritional Standards and Requirements) (Wales) Regulations 2013. You will assist the Food in Schools Coordinator with day-to-day administration and occasional research and consultation exercises. The School Holiday Enrichment Programme (SHEP) is a school-based programme that provides healthy meals, food and nutrition education, physical activity and enrichment sessions to children in areas of deprivation during the school summer holidays. You will assist the SHEP Coordinator with the day-to-day administration and evaluation of the programme and support the national roll-out of the programme to eligible schools across Wales. Based within the Social Services and Housing Directorate in the WLGA and working across the Association, the post holder will provide specialist policy advice and support on all aspects of ‘well-being’ with a particular focus on the role of preventative and early intervention services provided by local authorities and their partners (and specifically in the areas of social services, education, leisure services, culture and the arts) and their interface with public health, health care services, including primary care, and the NHS, from a local government perspective.